Industry’s only free, searchable resource of impact investing fund managers features firms that manage $29.2 billion in assets. 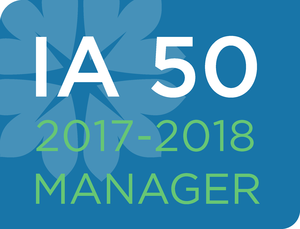 BETHESDA, Md., Feb. 27 /CSRwire/ - ImpactAssets has released its 2017-18 ImpactAssets 50 (IA 50), a free, online database for investors and financial advisors that features a diversified listing of 50 private capital fund managers that deliver social and environmental impact as well as financial returns. IA 50 users can sort and filter across a range of asset classes (debt, private equity and real estate), geographies, size of funds, themes and more. In addition to Emerson and Kenning, the IA 50 Review Committee includes impact investment pioneers and leaders, including Karl "Charly" Kleissner, Co-Founder of Toniic and KL Felicitas Foundation; Kathy Leonard, Senior Vice President, Investments and Senior Portfolio Manager for UBS; Stephanie Cohn Rupp, Managing Director, and Partner, Tiedemann Wealth Management; Fran Seegull, Executive Director, U.S. Impact Investing Alliance, Ford Foundation; Liesel Pritzker Simmons and Ian Simmons, Co-Founders of Blue Haven Initiative; Matthew Weatherley-White, Co-Founder and Managing Director of The CAPROCK Group. ImpactAssets is a nonprofit financial services firm that increases the flow of capital into investments delivering financial, social and environmental returns. ImpactAssets’ donor advised fund (“The Giving Fund”) and field-building initiatives enable philanthropists, other asset owners and their wealth advisors to advance social or environmental change through investment. The Giving Fund currently has $424M in total assets.